What is your favourite videogame character? How many times have you dreamed about turning into him or her and going on loads of adventures? Now you can with the videogame costumes that Funidelia has available for you. You choose the style of the game. 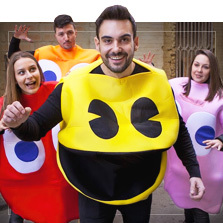 If you would prefer to dress up as Pac-Man, Pokemon or Super Mario Bros and create the most entertaining party or if maybe you would prefer to dress up as a harder and more aggressive videogame like Street Fighter or Dragon Ball. 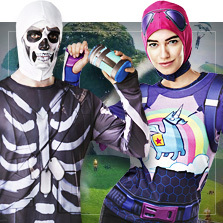 If you like things a little simpler and more basic, Fortnite costumes are for you. Build, loot, shoot and do a little dance every once in a while. In any case, any option is great if you want to work on your choreography with a group costume. Everyone matching... it will be an amazing costume for Carnival, Halloween or any big party. 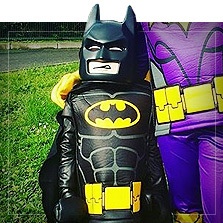 There are videogame costumes for all tastes, in different colours and sizes. For babies, kids or adults, for women and for men... You could be Zelda, Link, Peach, Pikachu, Blanka or even Goku. Well, copying the Super Mario Smash Bros game with your friends has never been so easy with these videogame costumes. 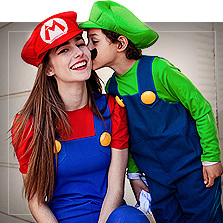 Press START and begin the match with the best costumes for gamers!